With Rome 2 on its way, now is the perfect time to revisit what many still consider to be the best Total War game. Whether you just want to enhance your Rome campaign, check out another ancient empire or change settings entirely, we’ve got all the best and brightest mods for your perusal. 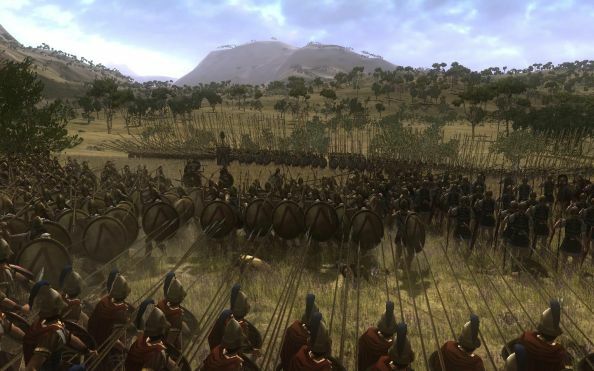 Every Total War game has its own version of DarthMod, the spectacular AI mod from Darth. This DarthMod not only enhances the AI, but also introduces new formations for each faction, giving you new tactical options on the battlefield. There’s also a series of tweaks and fixes to maps, building queues and naval battles to enhance your whole Rome experience. Europa Barbarorum is the best mod for those seeking absolute historical accuracy. It was founded by a group of history buffs who felt that Rome’s depiction of the ‘Barbarian’ nations was out of step with historical reality. Europa’s barbarians aren’t hordes of savages, they’re organised and disciplined. The remake doesn’t just apply to the Barbarian hordes, either: factions all over the ancient world have been altered and adjusted in the name of accuracy. If you demand absolute realism from your Total War games, you’ll want this. Rome was, understandably, focused on the Romans. They got multiple factions with competing motivations, while everyone else just got one. This mod flips things around. Rome is reduced to a single faction and some rebels while the Greeks take centre stage. 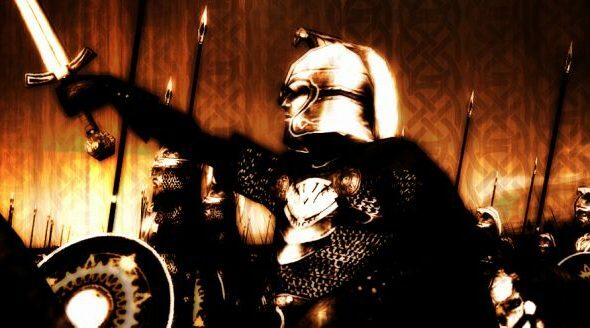 Extended Greek mod gives you five competing Hellenic factions along with new units, character traits, buildings and more, bringing the Greeks up to par with the the original game’s Romans in complexity. 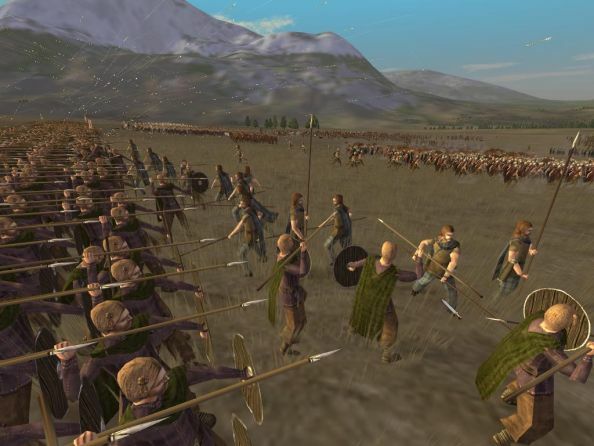 Every version of Total War gets a Tolkien mod, and Rome is no different. The Fourth Age is set after the defeat of Sauron and the destruction of the One Ring. Factions include Gondor and Arnor, Adûnabâr, Rohan, Harad, Rhûn, Dunland, Dale, Elves and Dwarves. It offers a very different depiction of Middle Earth from the Third Age setting we’re all familiar with from Lord of the Rings. If you’re more interested in that period, check out Medieval 2’s Third Age mod. If you’re looking to plunge back into Rome in anticipation of the sequel then Roma Surrectum is highly recommended. This mod starts the game during the Second Punic War (Rome 2 appears to involve the third) with Hannibal in Italy, threatening Rome itself. Roma Surrectum’s major selling point is it’s 28 unique legions, each of which has its own appearance and standard, and can only be recruited in the correct area. Warhammer: Total War is the mod for those of us who spent far too many of our teenage years painting in-ordinate numbers of little plastic models. It remodels the campaign map and factions to resemble the Warhammer Fantasy universe, offering you the chance to play with Games Workshop’s particular spin on Elves, Dwarves, Orcs and Men and the ever spiky forces of chaos. Go forth and claim blood for the blood god. Rise of Persia relocates Rome’s struggles to the middle east. Set in 559 BC, it depicts the power struggle over the fall of the Assyrian empire. A new campaign map sets the scene, while all new factions and units populate it. Letting you decide who unite Persia and create one of the most formidable powers in the ancient world. Like Europa Barbarorum Rome: Total Realism was driven by the desire for a more authentic and historically accurate version of Rome. The changes are extensive, playable factions go from twelve to seventeen, the campaign map has been extended all the way to India and hundreds of new units have been added. An enormous amount of attention has also been paid to presentation, with graphical overhauls, new intro videos and a professionally composed soundtrack.